With Dave not having a lot of time these days, most of these ideas never get off the drawing board, but they always sounded like a fun adventure and we thought maybe you would be interested in fleshing out some of these concepts for your own table. 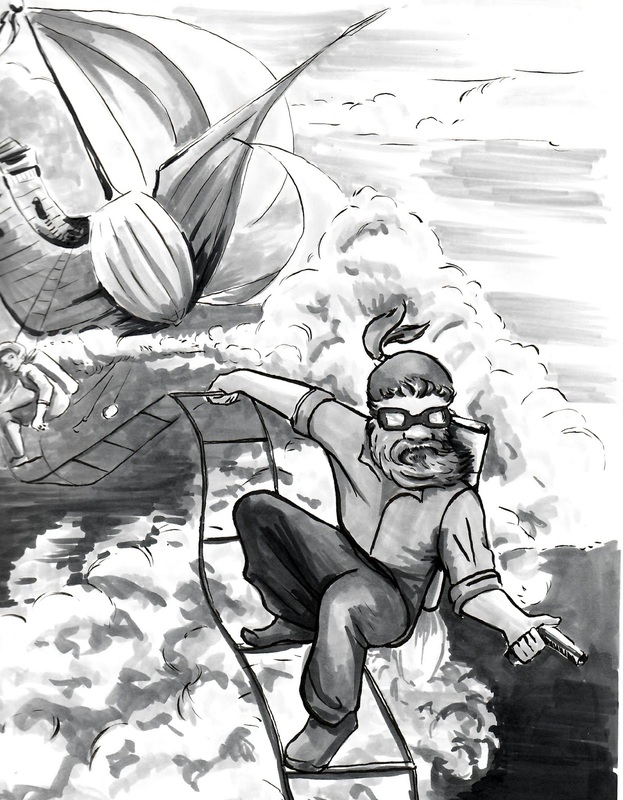 As the leader of a band of heroic sky faring adventurers in this Steam-Punk inspired campaign, One player would take on the role of Captain Kyle Hempwick as he commands his Sky Ship, and crew of gnomes. Players are encouraged to create several gnomish characters to fill out the crew, and rotate the role they wished to play based on the adventure, with the mantle of Captain Kyle getting passed off to a different player each round. This idea is clearly suited for romantic swashbuckling adventurers, where the bad-guys are over the top and the good guys always win! Inspired by TV shows like Rugrats, in Toddlers and Dragons players play as children between the ages of 1-3. 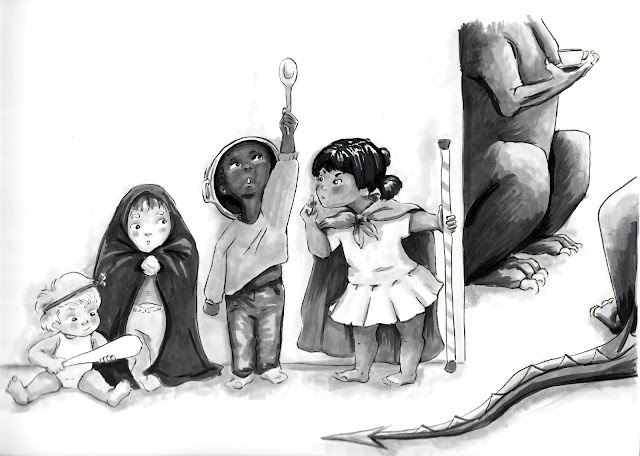 Imagining a world of fantasy, dragons and adventure, the toddlers go on quests and adventures around their homes and daycare with adults, and various child-proofing devices serving as obstacles to over come. Works best with contained one off adventures, rather than a grand sprawling story. Since all fantasy aspects of the game are imagined, it means there is no player death, and all D&D classes and races are acceptable. Remember though that you are only small children acting like these roles, so there is some meta-gaming going on here as you are playing a player who is playing a character. 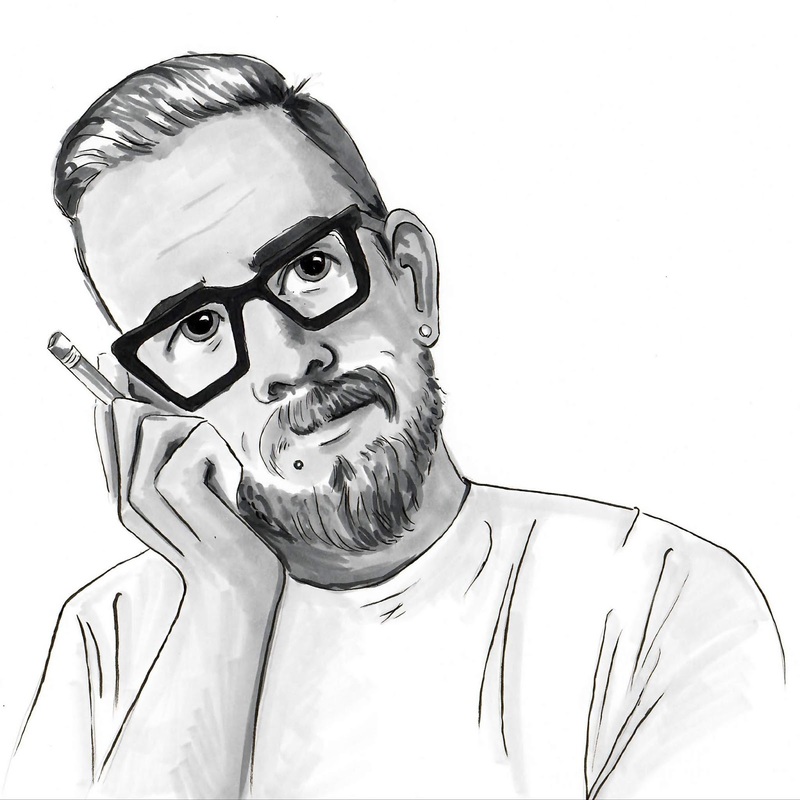 Being a huge horror fan, Dave has long wanted to host a Horror themed campaign. One of his many ideas around this concept is simply called "The Haunted House". 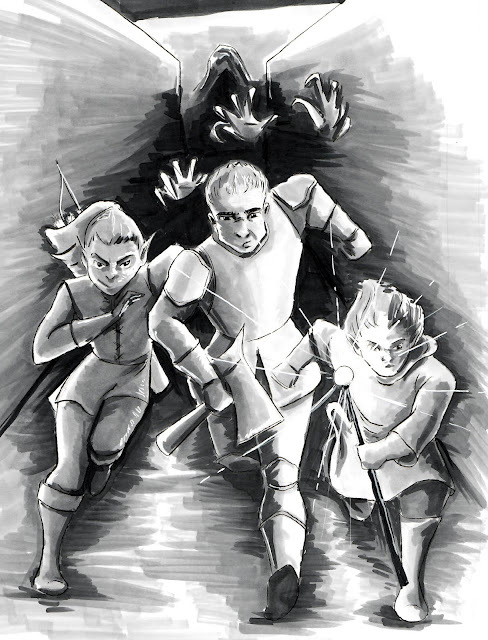 Controlling several characters (one per session) players make their way through a a shifting haunted maze with the purpose of escaping, or perhaps reaching the centre and battling the villain there. This dungeon is designed to gruelling and ever changing so you cannot go back to correct a mistake, the only way out is forward, or in a coffin. Dave actually started to work on this game by creating a deck of cards that he would shuffle to create the room encounters, but as usual we never got further than that. So, a Classic Dungeon Crawl with a unique twist as you can never enter the same room twice! If you are inspired by any of these ideas feel free to expand upon them and use them around your table top! And we would love to hear what you came up with!